With firm commitment to quality, we are offering Hardbound Notebooks are widely used by the students and professionals. 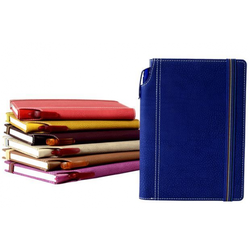 These offered notebooks are manufactured by the experts employing advanced technology to ensure their high quality. Our esteemed clients can avail these products in various sizes, and grades thickness. These register are a cherished companion for professionals, students, writers, travelers and artists. 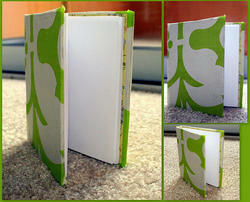 Our notebooks & diaries are made with hands and hard bound using hands, making them 100% handmade items. These crafted pape diaries & regiter are so designed and made that make them last long. Keeping in mind ever-evolving requirements of our respected clients, we are manufacturing a premium quality array of Hardbound Notebook. We are exporters of a variety of school and office books. Our range comprises of Note books, excercise books, composition books, practical note books, graph books, drawing books, office ledger and accounting ledgers etc. Abhinav Paper Products Pvt. Ltd.